The Southlake Tennis Academy Tournament Player Workouts focus on technique-based drills, court strategy, conditioning, agility/speed training, video analysis and coached match play to further develop players who are actively pursuing tournament level tennis. The workouts follow the USTA High Performance Coaching drills to move players to the next level. 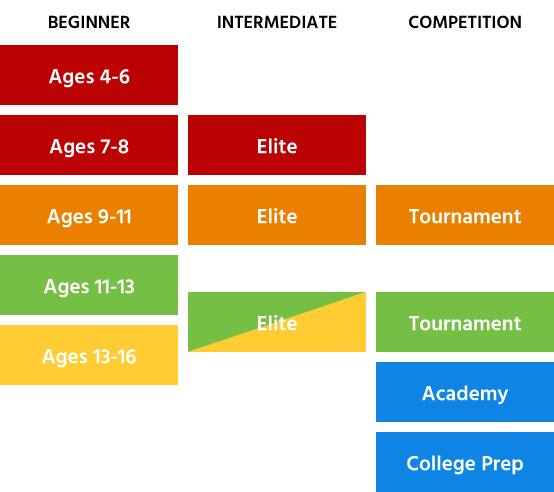 The program uses the STA Development Triangle to focus on these key areas: technical/tactical skills, drills, match play and Travel Team. Tournament Academy players are expected to play tournaments on a monthly basis. For information about how to enter a Texas sanctioned event please go to First Tournament Information. College Prep is an invitation only program for players who are actively pursuing a college tennis career. For more information about Texas Section Tournaments please go to Junior Know the Rules. This is a year-long program. Players sign up to be enrolled for the entire school year. Players set up an account with STC and are billed monthly.